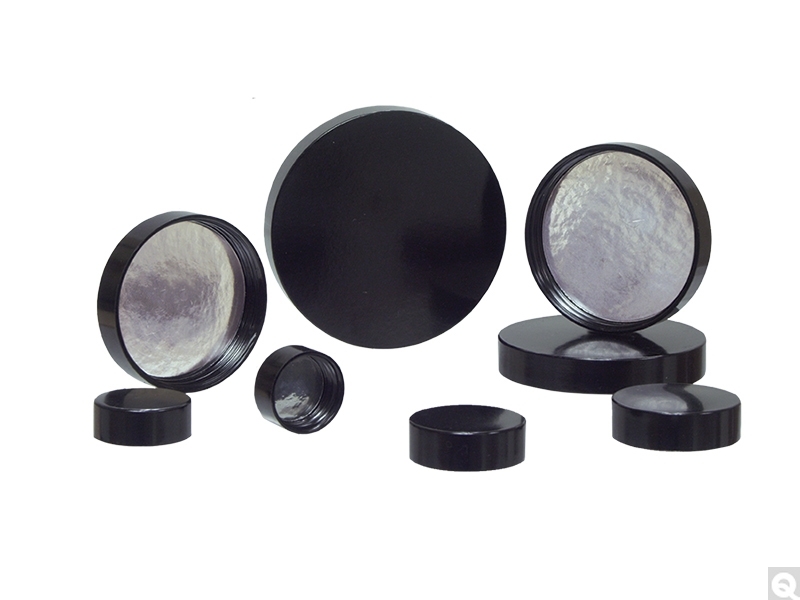 Black Phenolic Caps with Pulp/Aluminum Foil Liners are free of odor and taste problems, and are appropriate for non-acid, non-alkaline products. Typically used for food applications, these aluminum foil-lined plastic caps can also be used for such products as organic solvents, chrome cleaners, brake fluids and mineral oils. Available as ribbed bottle caps in the 425 GPI thread finish for narrow bottle necks and 400 finish in a wide range of diameters to for wider bottles and jars. Refer to Cap Sizes and Neck Finishes for help with sizing.